The so-called bipartisan “Gang of Eight” senators have come up with legislation that they say will truly reform our immigration system. This legislation would allow more legal immigration over the next 10 years, tighten border security, award more visas based on education and professional credentials and controversially grant legal status to the 11 million undocumented immigrants who entered the United States illegally. Supporters of this legislation feel that it fixes an immigration system that is broken. However, a conservative backlash against it has begun in the House. The backlash is specifically against the provision to grant a path to citizenship to the 11 million undocumented immigrants. After all, these people committed a civil offense and broke the law, and the United States has not been historically known for rewarding deviance. Those who oppose this reform in the House are hoping to thwart the legislation through a strategy of delay and dismemberment. Some Republicans, such as Sen. Marco Rubio (R-Fla) who was involved in the drafting of the bill in the Senate, have supported it. And, a bipartisan group of House members is working behind the scenes to draft a bill that does have such a path to citizenship. The debate on immigration is certainly contentious in our nation. However, a recent Pew Research poll has shown that perhaps the Gang of Eight is out of touch with what Americans truly want. This poll reveals that 55 percent of Americans oppose granting citizenship to those 11 million who entered the United States illegally. And among the group that intuitively would seem most supportive of such a path to citizenship, Hispanics, only 49 percent support such a measure. The AIC Foundation is a national organization that is among the oldest immigration reform organizations in the country. The AIC Foundation’s membership includes Americans of many different ethnic groups and national origins. Its membership has a deeply-rooted commitment to preserving our American heritage, and the AIC Foundation aims to educate other fellow Americans about the disastrous consequences of an irresponsible immigration policy. In order to raise public awareness about the issue, the AIC Foundation has distributed and produced many different books, pamphlets, monographs and videos. The following is an interview with John Vinson, President of the AIC Foundation, on his views on the current immigration reform legislation being debated in the Senate and the work of his organization in the realm of immigration reform. What are your views on the immigration-reform bill being debated in the Senate? The Senate bill, with amnesty for almost all illegal aliens in the U.S. and a pathway for them to become citizens, is basically an effort by left-wing Democrats to create a larger voting bloc for themselves and an effort by business-interest Republicans to secure more cheap labor. In addition to the amnesty, the bill significantly increases the number of legal immigrants and guest workers. This comes at a time when more than 20 million Americans can't find full-time employment. By rewarding law breaking with amnesty, the bill will encourage more law breaking, as indeed has been the case with previous amnesties. In such fashion we undermine the United States as a nation under the rule of law. Most disturbing about the bill is the gross dishonesty of its sponsors. As one example they are trying to make the public think that it will guarantee effective enforcement in exchange for amnesty. In truth, however, it only offers promises of enforcement. Given the broken promise of enforcement after the 1986 amnesty and the indifference of the Obama Administration to enforcement today, we can be quite sure that these current promises are no better than the paper they're written on. What are some of the changes you would like to see happen to U.S. immigration policy? One change we'd love to see is simple enforcement on the immigration laws already on the books, rather than the systematic subversion of enforcement we have now. With respect to legal immigration, we would recommend a reduction from the current level of about one million a year to about 250,000 per year. The current level is overwhelming our powers of assimilation and creating a very divisive form of diversity. 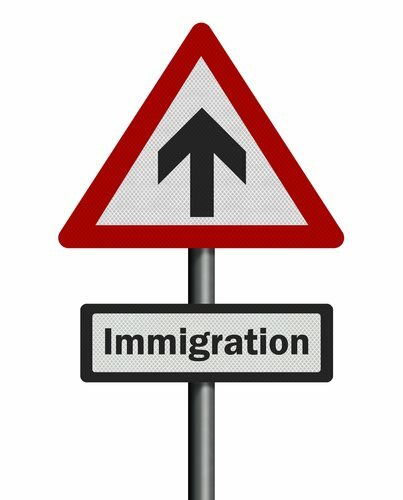 Do you think it would be a better policy to change our immigration system so that more highly-skilled workers are permitted rather than low-skilled workers? A policy bringing in more highly skilled workers would be preferable to what we have now. Nevertheless, we believe that the "shortage" of high-tech and other skilled workers is greatly exaggerated by companies that prefer to hire foreigners for lower wages than U.S. workers would receive. As national policy, we should make sure that the American job market gives preference to American workers. What are some of the major accomplishments of the American Immigration Control Foundation? We have presented millions of Americans with viewpoints on immigration commonly ignored or suppressed by the mass media. Our influence has encouraged debate and reflection on this important topic. Specifically, we believe, our influence has restrained some of the more radical agendas of open-border and mass immigration advocates. If this legislation does pass, what would be the next step for the American Immigration Control Foundation? If legislation so wrong and destructive as this should pass, it will raise serious questions as to whether we still have a government by and for the people. In any case, we will continue our educational efforts in hope for future changes. For more information on the American Immigration Control Foundation, please visit their page. For more information on immigration law and news, please visit our Immigration Laws Page. Interviewed with John Vinson of the AIC Foundation, Monterey, Virginia.